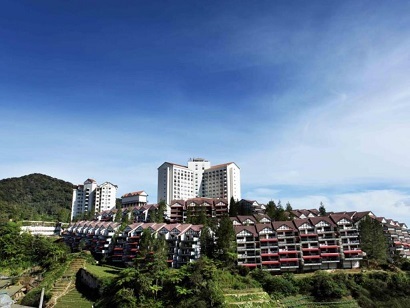 Nestled in the heart of Tanah Rata, Century Pines Resort is an ideal spot from which to discover Cameron Highlands. From here, guests can enjoy easy access to all that the lively city has to offer. Also within easy reach are Hospital Tanah Rata, Cameron Bharat Plantation Sdn Bhd, Hutan Lipur Parit Falls. At Century Pines Resort, the excellent service and superior facilities make for an unforgettable stay. While lodging at this wonderful property, guests can enjoy free Wi-Fi in all rooms, facilities for disabled guests, Wi-Fi in public areas, car park, restaurant. Step into one of 153 inviting rooms and escape the stresses of the day with a wide range of amenities such as television LCD/plasma screen, complimentary instant coffee, complimentary tea, towels, closet which can be found in some rooms. Whether you're a fitness enthusiast or are just looking for a way to unwind after a hard day, you will be entertained by top-class recreational facilities such as hot tub, fitness center, sauna, golf course (within 3 km), spa. 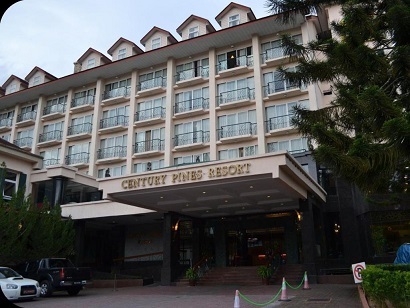 Whatever your purpose of visit, Century Pines Resort is an excellent choice for your stay in Cameron Highlands. A charming country house inspired by English heritage, The Lakehouse features wooden ceiling beams and four-poster beds. 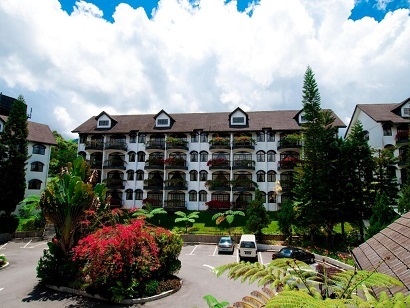 Sitting on a hill in Cameron Highlands, the hotel offers guided jungle treks. 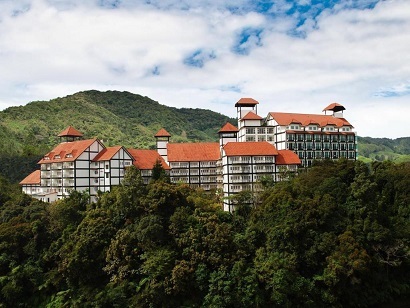 The Lakehouse Cameron Highlands Resort is 1 km above sea level and overlooks Sultan Abu Bakar Lake. The nearest town, Ipoh, is a 90-minute drive away, while Kuala Lumpur is a 3-hour drive away. Rooms at The Lakehouse Cameron Highlands feature antique pieces, such as an antique table fan and a rotary dial telephone. Each room has tea/coffee making facilities and a vanity area with a full-length mirror. Room service is also available. Guests can settle into one of the cosy armchairs at the Reading Room and enjoy quiet moments by the fireplace. There is also a games room where guests can play board games. The Lakehouse Resort provides a safety deposit box at the front desk. Open for breakfast and dinner, the restaurant serves local and English specialities, with vegetarian choices. Cameron Bar offers a wide selection of liquor and a TV with sports channels. The Lakeview Terrace is a great spot for English tea in the afternoons. This English Tudor, boutique hotel, built in 1939, is situated adjacent to a beautiful golf course. Guests will enjoy a prime location on a verdant hill that is just three hours from Kuala Lumpur and nestled upon the frontier that separates modernity from the untamed wild. Guests will find The Smokehouse Hotel perfectly situated to explore both. This boutique hotel features a special traditional English breakfast followed by a noon tea in the sculpted garden. The hotel also boldly offers one of the finest dining venues in the Highlands, featuring a distinctive collage of traditional and modern cuisine types. 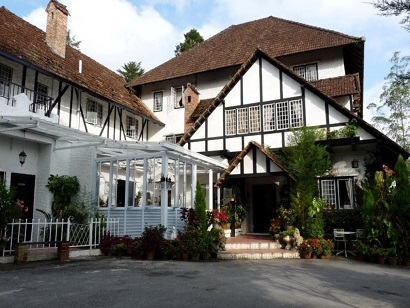 The Smokehouse Hotel is the perfect venue for guests who want one of the best English-styled boutique hotels in the Cameron Highlands. 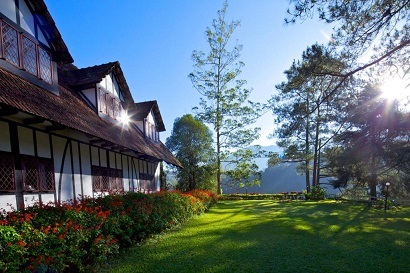 Rated as one of the best tea plantation hotels in the world, Cameron Highlands Resort celebrates the region's colonial heritage. Adjacent to a golf course and surrounded by tea plantations and strawberries, this boutique property that embodies the charm, adventure, and gentility of the old world colonial lifestyle. In addition to the luxurious amenities, the hotel includes scrumptious dining venues with the option of intimate private dining. A must-try is the unique Spa Village with signature treatments based on traditional tea rituals. The hotel's Grand Ballroom and seven other function rooms provide for intimate and exclusive social and corporate gatherings in an elegant setting. 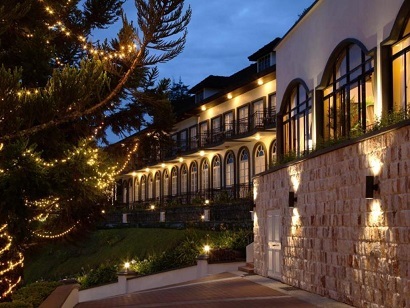 With its magical hilltop location and cool refreshing climate, the boutique Cameron Highlands Resort is the picture-perfect setting for the sophisticated traveler looking to escape the routine and experience a sense of intimate country-style living with attentive, yet unobtrusive, service.